"Liebesg`schichten - Oh well, that´s that!" is Barbara´s second solo show. Based upon the unexpected and often anarchic events leading up to and surrounding her deaths of her parents. 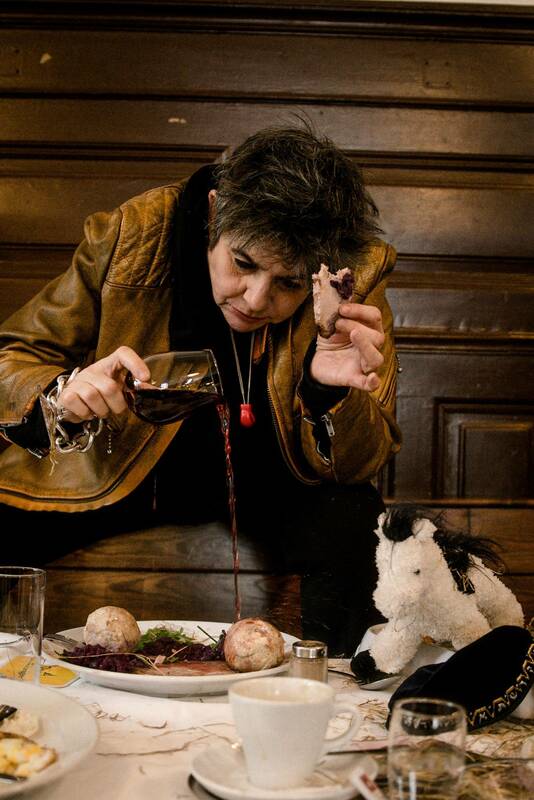 Accompanied by two somewhat irreverant puppets, and Viennese songs of the 20s and 30s, Barbara explores the taboos and celebrates Vienna´s morbid and unsentimental love affair with death with warmth and humour. In this one-woman revue, Barbara recounts the story of her parents’ escape from Austria in 1938, their arrival as refugees in Britain and the struggle to build a new life in London. 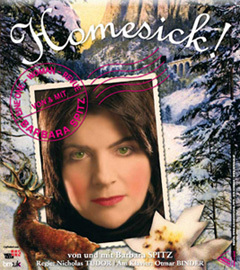 Presented as snapshots of memories and interlaced with popular Austrian ‘Schlager’ music, HOMESICK! 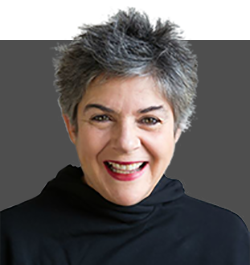 explores the concept of home, of what gives us our sense of home and how Barbara´s cultural, historical and linguistic heritage became a part of her ‘British’ identity. Bowie reloaded: Ziggy Stardusts Sister is the label to an evening of a series of serious re-interpretations of classic early songs by glam rock pioneer David Bowie. Tunes from his seventies’ albums "Hunky Dory", "Ziggy Stardust" and "Aladdin Sane" will be daringly reworked on a highly synthetic basis - and accompanied by an international set of musicians on laptop, cello and piano. The program was successfully presented in Vienna in 2006 and Barbara brought her quirky vision of Bowie’s music back to Britain, where she had been part of the Bowie cult and the (post) punk scene from the mid seventies on. Rock’n’Roll Suicide!